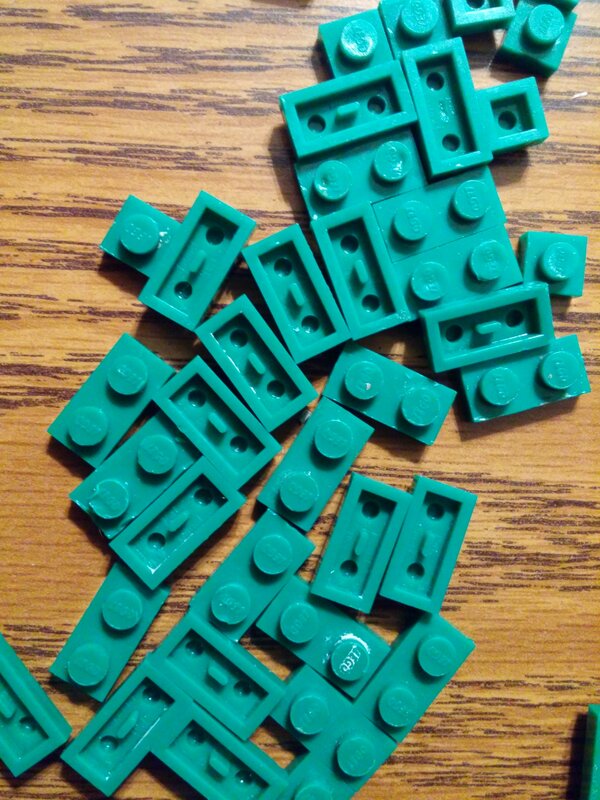 I won an auction for a 116 train set last week and inside with the parts were 20 or so green 1 x 1 and 1 x 2 plates that have the old Lego logo and Pat. Pend. on the bottom with the old style bottom slot. This part http://alpha.bricklink.com/pages/clone/catalogitem.page?P=3023old&idColor=11#T=C&C=11 isn't listed on BL as ever being produced in green and there are none for sale either. The parts came from Denver so I'm thinking they could have been produced by an employee for their own use or maybe their kids. Anyone else have these in this color? Maybe @Istokg has seen these? 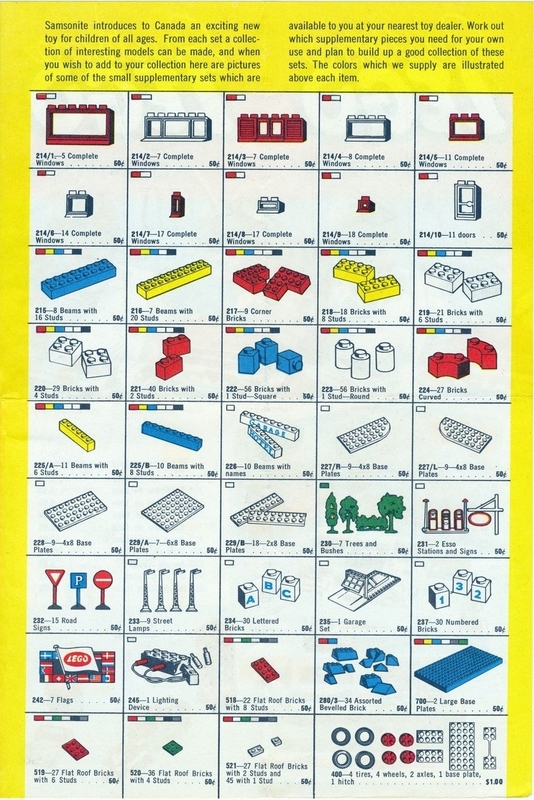 Small LEGO plates were introduced in continental Europe in late 1962, in USA/Canada in 1963, and in Britain/Ireland/Australia (called "slimbricks" there) in 1964. 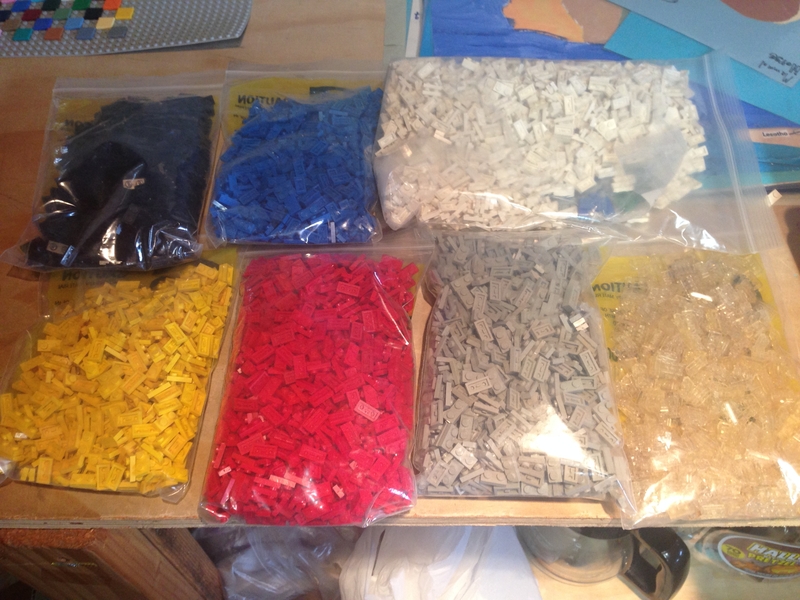 They came out in parts packs 518 (2x4 plates), 519 (2x3 plates), 520 (2x2 plates), and 521 (1x2 and 1x1 plates) in continental Europe, and USA/Canada (Samsonite LEGO)... although for some odd reason the 521 plate parts packs sold in USA/Canada were labeled 521/1, while the catalogs only mention 521. The colors that the plates came out in continental Europe for those 4 parts packs (518-521) was Red, White, Blue, Gray, Clear, Black or (starting in 1964) Yellow. These came out in either Cellulose Acetate (1962-63) or ABS (1963-65). 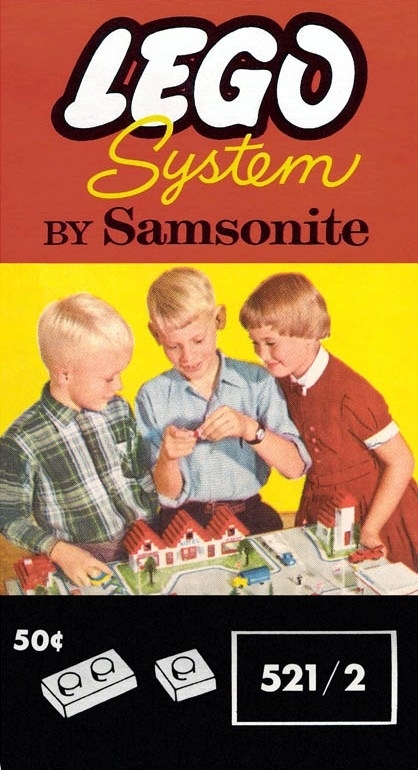 In USA/Canada the plates came out in Red, White, Gray, Clear, Black and Green, all Cellulose Acetate) from 1963-66 in the 518, 519, 520, and 521/1 packs. 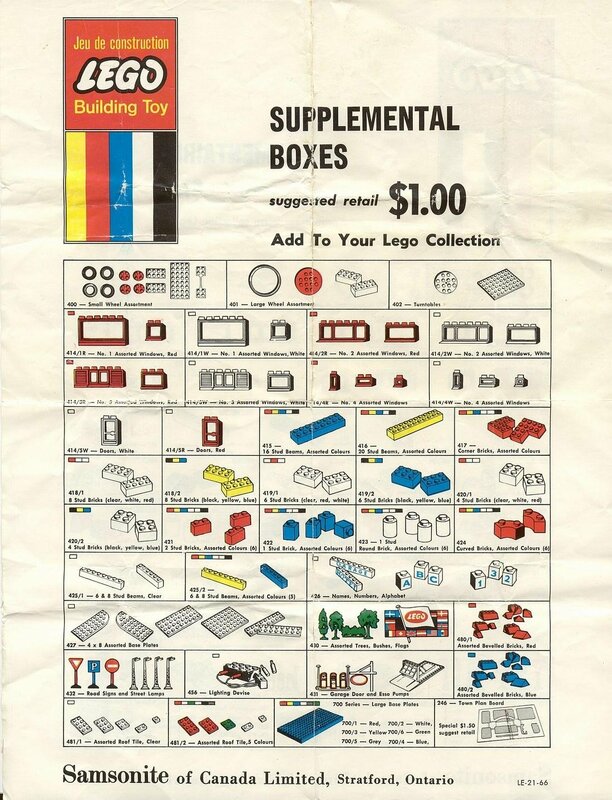 The USA and Canada parts packs were the same from 1963-66... however the parts count differed for each parts pack. 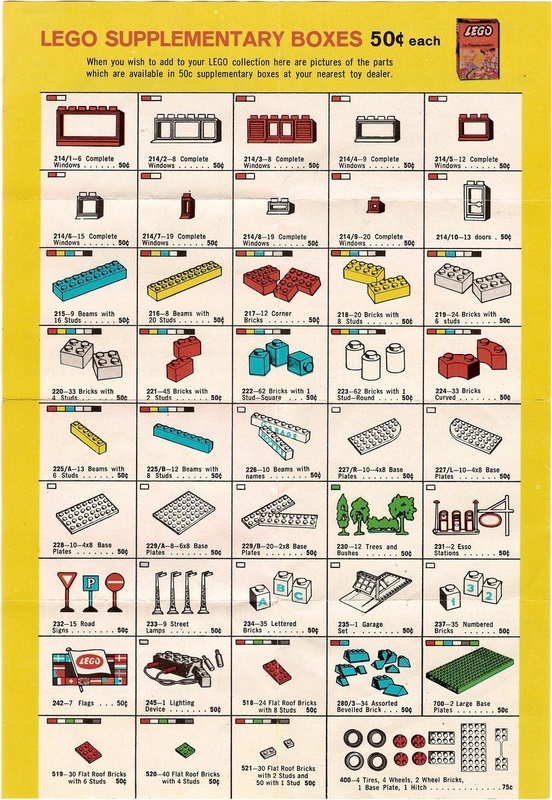 Here's the 1963-66 Canada catalog parts pack page. And from 1966-68 in Canada (only)... the small green plates were produced in a 481/2 mixed sizes small plates parts pack (multiple size and color plates in this pack, unlike earlier packs). @Istokg Thank you for the info, you are wiser than BL. 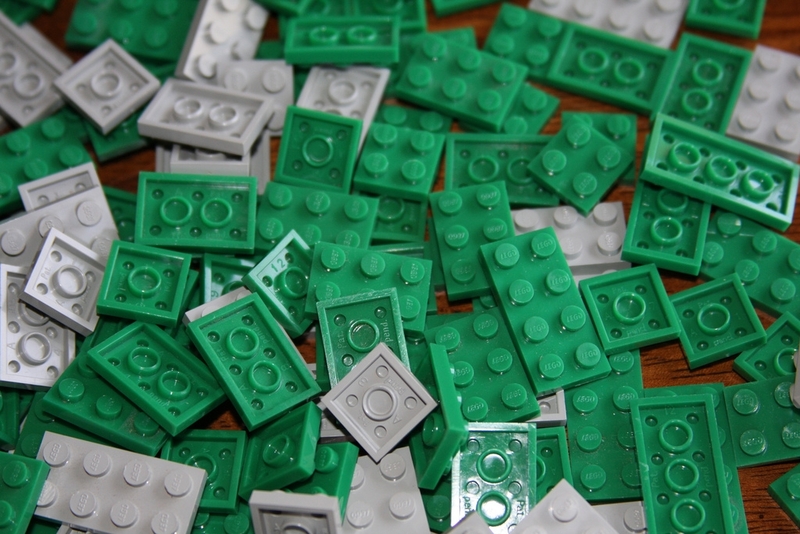 I have never seen green in the old style bricks before and I've got loads of old parts. Had a brain fart on the previous thread... the 2x4 plates were in a 518 pack... the 2x3 were in a 519 pack and 2x2 were in a 520 pack.